When Edmonton's food trucks started to appear in and around the city in 2011 everyone was pretty excited to see that the trend had finally reached our city. If you were anything like me, you were determined to try every single food truck. That quickly became a difficult task when more and more trucks emerged onto the scene. Fast forward a few years and there are still many food trucks parked curbside in the warmer months, but some of Edmonton's favourites have shifted toward opening up brick and mortar spaces. 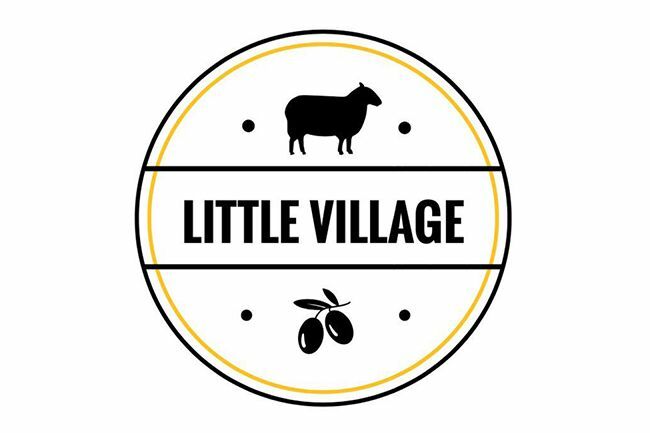 Filistix and The Local Omnivore are a couple examples, and the latest food truck to join them is Little Village. If you've ever had the food from Little Village food truck you've met owner/operator Theo Psalios - the guy inside the truck that always greets you with a smile on his face. 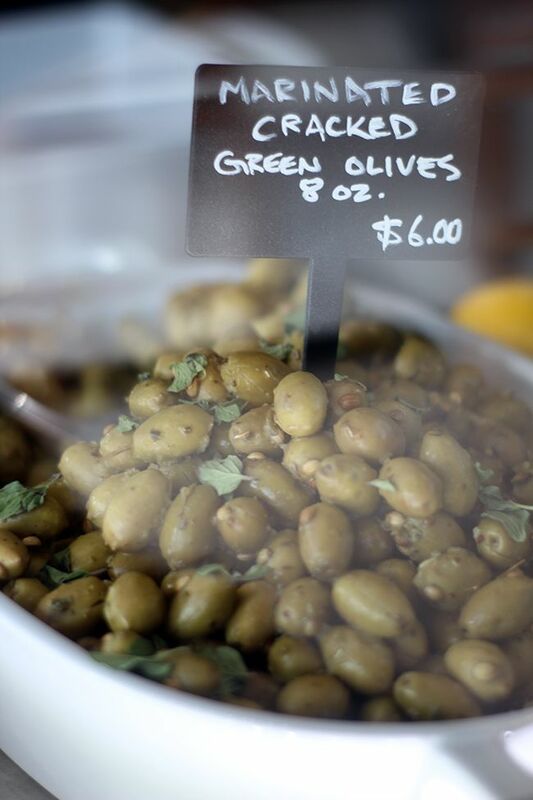 Theo brought Little Village to life in 2012 and has been serving up his take on Greek dishes ever since. Operating out of a food truck means food service is dictated by the weather, but now that Theo has a storefront where you can get a taste of Little Village any time of the year. Located along the hustle and bustle of Stony Plain Road, Little Village occupies a small, brightly lit space in a strip mall. A few seats are available for those who wish to dine-in, but Little Village primarily offers ready-made meals for take out. 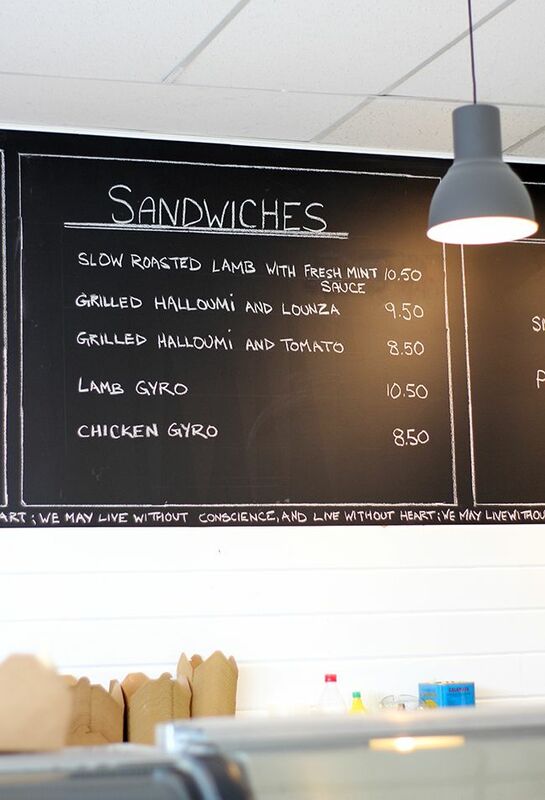 As you walk in you're greeted by large chalkboards and two glass displays with food ready for consumption. 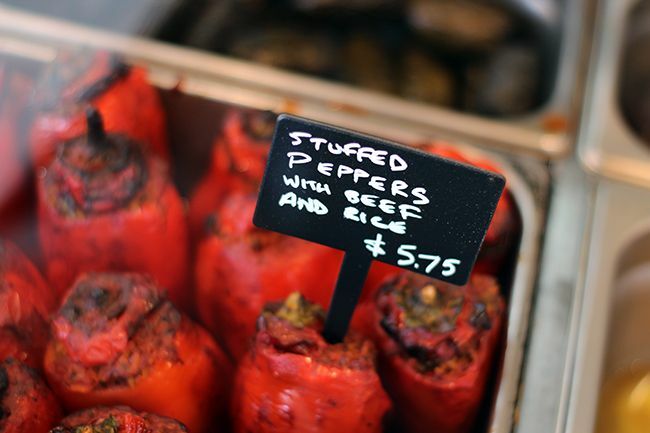 While the offerings have some overlap with the food truck (like the lamb sandwich and lemon potatoes), there are also a variety of classic Greek offerings like moussaka, pasticchio, and dolmades. 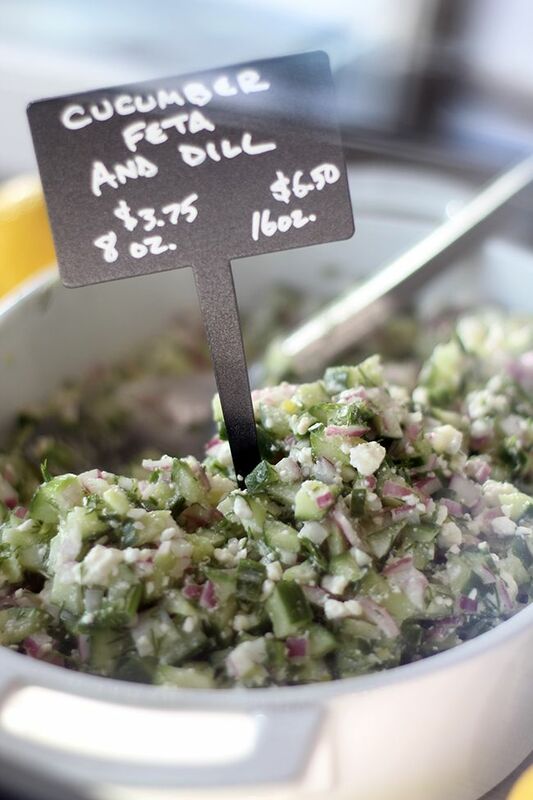 The chalkboards outline the grilled/rotisserie meat, sandwich, and salad options, while the glass display cases are stocked full of cold side dishes and hot Greek classics. Prices are very reasonable given the quality of ingredients and convenience, so I may just find myself here quite often given the close proximity to my home. I stopped by with a friend on opening day and I knew I couldn't leave without my favourites - the roasted lamb and lemon roasted potatoes - so we picked up a 1/3 Lamb Shoulder ($14.75). All the rotisserie meats are served with a side of potatoes and tzatziki, rounding out the meal. 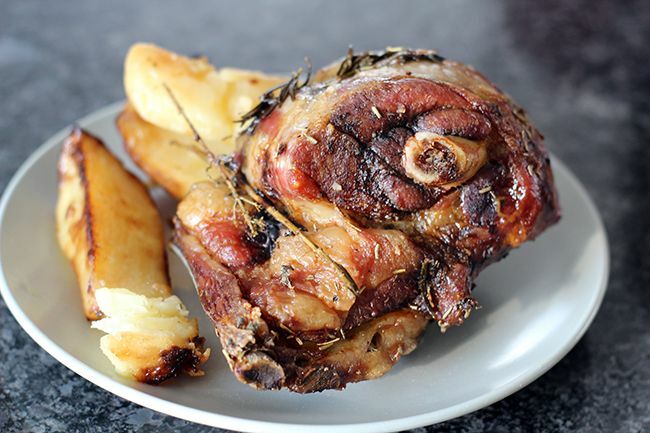 The lamb had a beautiful crust, was well seasoned, and was fall-off-the-bone tender. The potatoes were soft and packed full of flavour, and everything together was a killer combination. 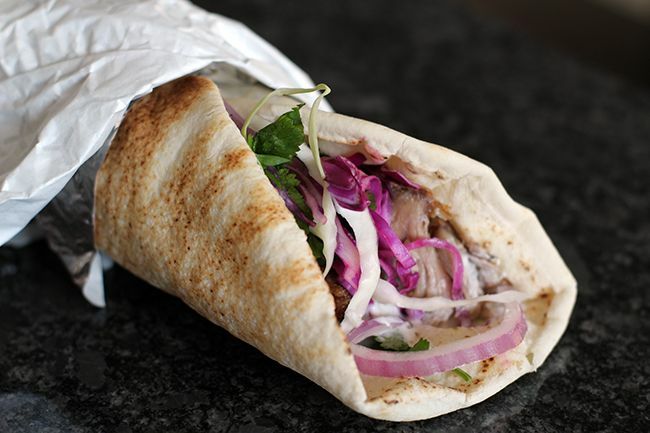 The Lamb Gyro ($10.50) was also on my radar, stuffed with roasted lamb, vegetables, and herbs. The pita held up well to the combination of ingredients and was fairly filling, but I found myself wanting a side with it. Last but not least we picked up a portion of Moussaka ($6.50/slice), which I lovingly refer to as lasagna's eggplant cousin. 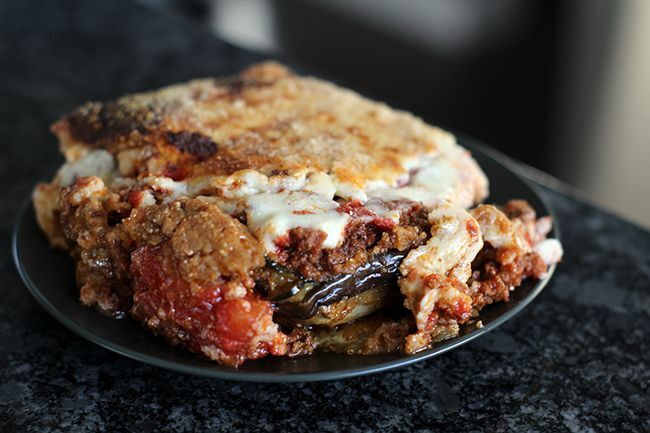 The Little Village Moussaka is loaded with eggplant, tomato, ground beef, and creamy bechamel sauce. The mild flavours blend well together, and makes for pretty good comfort food. The food truck will still be found at the 124 Street Grand Market and various events around the city in the summer months, but now that Little Village is open, lemon roasted potato lovers can get their fix year round. Trust me, they're that good. Stop by and grab a bite Tuesday through Saturday, 11am - 6pm (530pm on Saturdays! ).